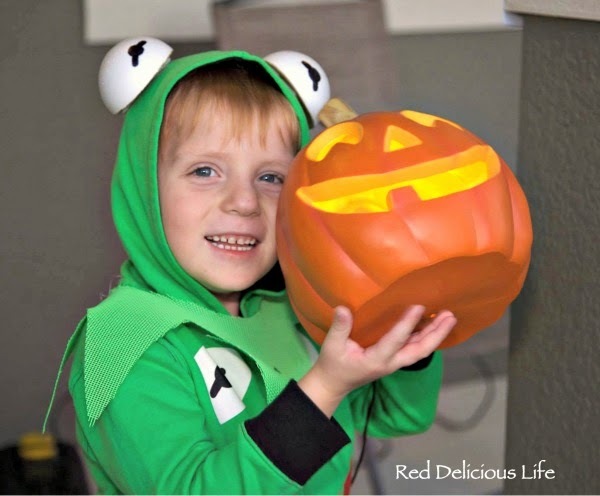 Red Delicious Life: Hi-ho! Kermit the Frog Here! So cute! 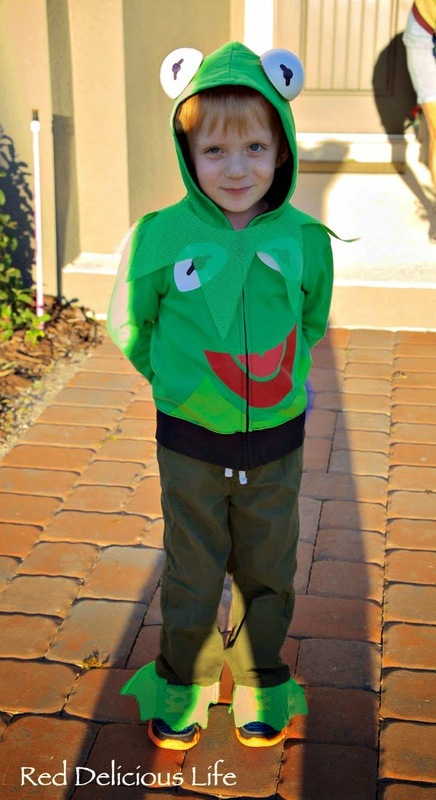 Great costume, I really like Kermit! Cute costume, I wish it was in the 70s up here! Good luck with your holiday sewing. My Canadian husband got excited about Halloween, but here in Australia no one came trick or treating. We are now eating the lollies ourselves.